Monitor test points are handy when you install new tubes and need to set the bias. A volt-meter on each testpoint will report the cathode current for each tube and the B+ voltage. When you are done, the voltmeter is disconnected and you can start to play... Once in a while, checking the bias with a volt-meter will verify that nothing has drifted. Since you cannot monitor the bias when you are on stage, if you have a tube that's on its way out and dies in the middle of your set, you will be caught with your pants down. We designed a compact battery powered meter that can attach to your amp permanently, or be connected to your amp as required, to measure the cathode current and B+ at the beginning of your show or between sets. It is also handy when you are setting your amps bias! The Amplifier needs to be modified with a 9-pin D-SUB connector for connection to the meter. The unit only monitors when you press the Big RED Button, so, one 9 Volt Battery will last many years. The Tube-Monitor measures and displays the cathode current for each tube and the B+ voltage. Just Press the Big RED Button!! 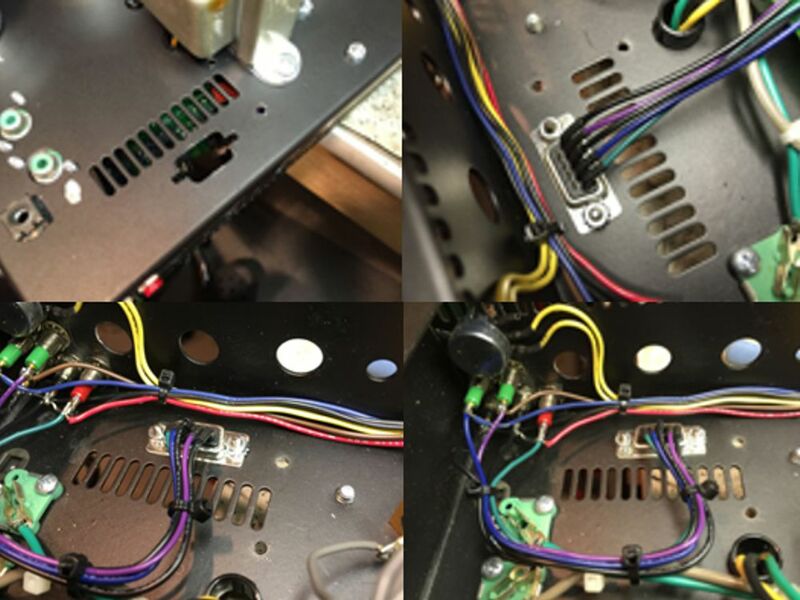 This is a quick way to check the health of your tube amplifier at any time.